After coming across a “vampire” in a cave, Dr. Tim Fanning is bitten, but somehow survives to the surprise of his good friend and colleague, Dr. Jonas Lear, played by the brilliant Henry Ian Cusick, who you may know from Lost and The 100. Dr. Tim Fanning quickly becomes “Patient Zero,” as he begins to evolve into something else that craves blood and is far from human. While Dr. Lear desperately wants to help his friend, it’s safe to assume that there may be no coming back from this infection or transformation and it’s only a matter of time before “Patient Zero” evolves into a threat. Meet Federal Agent, Brad Wolgast, played by the amazing Mark-Paul Gosselaar. So I had the advantage of having read Justin Cronin’s book, The Passage, which gave me quite a bit of backstory on our guy, Brad. While I felt like Brad’s backstory was crammed quickly into one episode, I do realize that it is difficult to capture everything from the book. So what do we need to know about Brad? He’s an excellent Federal Agent and he has an ex-wife named Lila who is a doctor. Brad and Lila’s daughter died a few years ago and this certainly took a toll on their marriage. However, this allows us to understand the void in Brad’s life, which makes his next mission that much harder on him. Meet Amy Bellafonte, played by Saniyya Sidney. 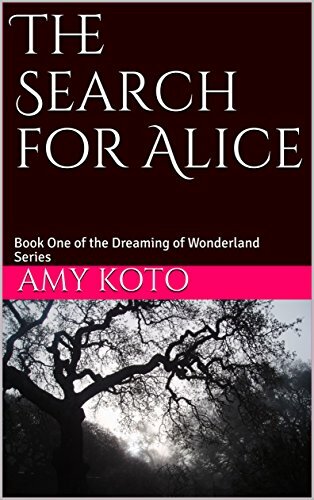 Amy is a ten-year-old girl who is forced to grow up way too quickly after her mother dies of a drug overdose. To make matters worse, Amy is kidnapped by Brad and Agent Doyle, which is extremely traumatic. We know that Project Noah is very interested in Amy, but we still have to discover the connection here and learn why she is so special and trust me, she is. During the episode, we meet several “patients,” who are all responding to the transformation in different ways. Shauna Babcock, played by Brianne Howey, seems to be evolving the best so far and she definitely has the vacant and creepy stare through your soul mastered perfectly. While Shauna has a craving for blood, she also seems to be fixating on Agent Clark Richards, played by Vincent Piazza. Shauna begins appearing to Clark in his dreams and there seems to be some kind of hypnotic connection here. Other characters have mentioned dreams and disturbing thoughts as well, which implies that this is more than a mere case of cabin fever here. Either way, I’m intrigued. Since I have read the book, I understand the beautiful and heartwarming bond between Brad and Amy, which is somewhat similar to the bond between Wolverine and Laura in the film, Logan. Brad and Amy have both lost so much and they need each other. While I’m not sure that the premiere episode truly captured their bond, which developed over time in the book, it still resonated with me and I think they did a good job portraying it. I’m hoping that it will continue to grow, as the connection to these characters is extremely important, as the rest of the story begins to unfold. Either way, it’s clear that these two will face a lot of obstacles along the way, but at least they have each other. Stay tuned!